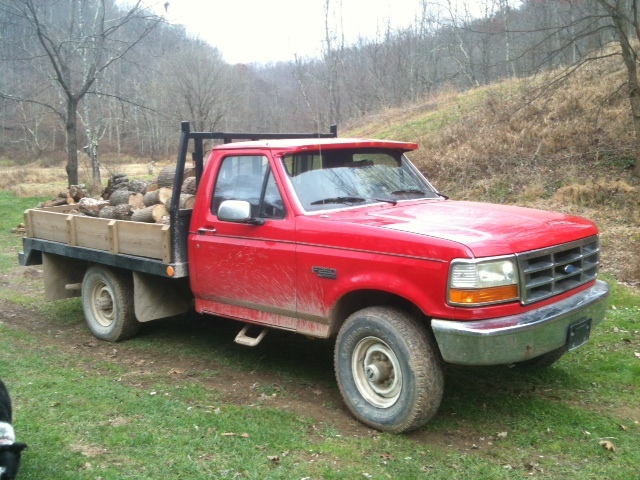 We had an opportunity to get this 1996 Ford F-250 4X4 last week and we decided it was definitely a need and not a want. Gary, one of the farmers down the road put it up for sale. Although we always had access to John’s truck (Festus) we really felt guilty borrowing it even though they were always willing to loan it with a smile. 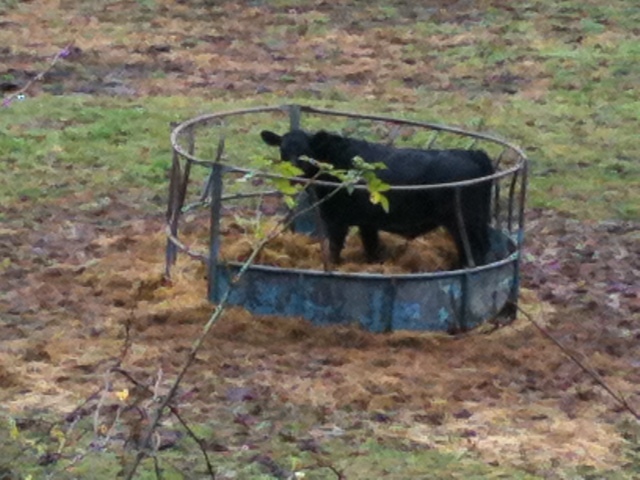 We quickly put it to use by picking up several cattle wire panels from Tractor Supply and the next day we were cutting firewood rounds and hauling them back to the splitter. We won’t be driving it much unless we really need it. Seems it really likes the gasoline. 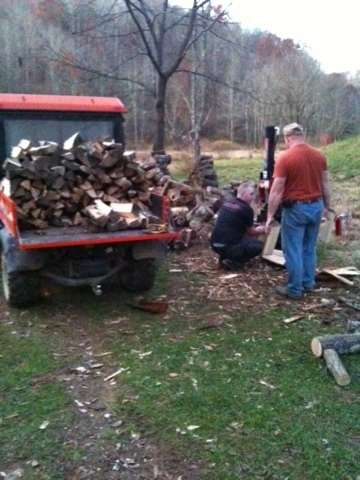 It’s Thanksgiving Eve here at Pot Hole Farm and things are already hopping in preparation for tomorrow’s off grid feast. The turkey is thawing in the fridge and the menu items are marked off the shopping list. Clarissa and I have whipped up the pumpkin pies and the deviled eggs are sitting pretty on a plate in the fridge. 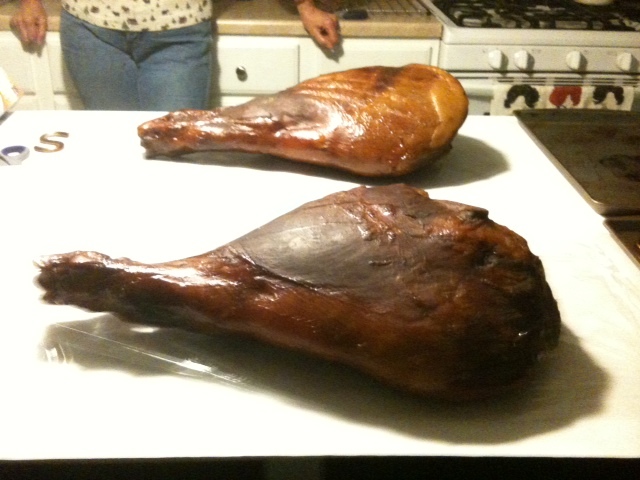 Carol is going to prepare one of the hams we smoked this year and we can’t wait to take a taste. Duke has been busy pulling out the tupperware bowls from the kitchen cabinet, (the only cabinet he knows he is allowed to play in). He has entertained us with his squeals of delight as he rearranges the throw pillows on the couch, throwing most of them on the floor to be wrestled with like an alligator. Cracker crumbs have been strategically dropped from one end of the house to the other. Well, I guess he figures the dogs need a snack too and who could argue with that. Last year he was too little to enjoy the fruits of Thanksgiving, but this year he will be sitting at the table with the family. I am hoping that tomorrow is sunny so that we can use the solar cooker. I think we could use it to cook the green bean casserole or at least the yeast rolls. Might as well put it into service to take some of the strain off the gas oven and who knows if its cold enough to start the wood stove we’ll use it to perk the coffee. All of us here at Pot Hole Farm wish you all a wonderful and blessed Thanksgiving. I am so sorry that I have not given you all an update about the hams. I have had a few glitches with my computer. 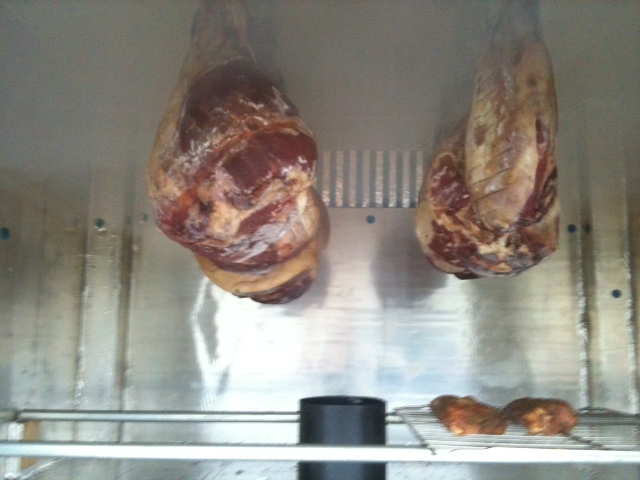 Anyway, the hams are all smoked and the smoker could not have worked any better. John and Sonny hung the hams in the smoker along with a pork tenderloin. They used applewood chips soaked in water in the wood stove to create the smoke and and brought it all up to the proper temperatures. They maintained the temperature between 120 – 130 degrees. Thats fahrenheit not celcius. It took about nine hours to complete the process, and boy did they smell good. We put a pork tenderloin in the smoker as well and then cooked it in the oven to finish it off for dinner. The smoke flavor was delicious. 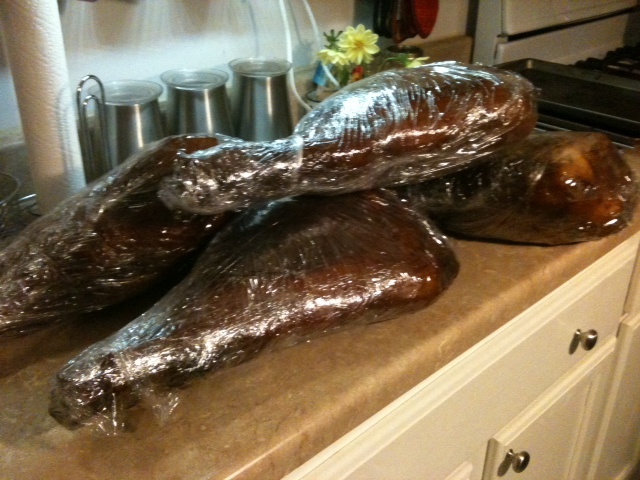 Once the hams were cool we wrapped them in seran wrap and they can be stored in the refrigerator for up to year or frozen. We haven’t cooked one yet, but plan on it in the near future. 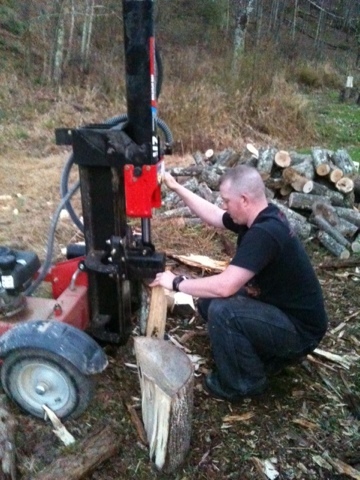 You are currently browsing the Off-Grid in West Virginia blog archives for November, 2011.